Need affordable moving services in Michigan? We’re considered by many to be cheap movers in Michigan and are very often realtor recommended movers in Michigan. Realtors see a lot of different moving companies in Michigan. So why would your realtor recommend a particular mover? There are a few different factors that a realtor must consider with recommending a trustworthy Michigan moving company. First they will want to be sure that the movers that they recommend are reliable. They will want to see that the movers pay attention to detail and handle your possessions as though they were there very own. After all you can never be too careful when you are handling someone’s belongings. Next the recommending realtor will want to know that the moving company offers affordable moving services for you. What good is a moving company if you can’t afford their services. That’s why we try to offer cheap moves whenever we can. We understand that most people do not have an unending supply of money available to pay their local Michigan moving company and so does your recommending realtor. To become a realtor recommended moving company, your realtor will also want to be aware that the moving company offers additional services too. Moving services like short notice moves, movers that are available on the day that you need them and not just when they want to work. Your Michigan movers should be fully insured movers. It doesn’t happen too often, but occasionally something will get damaged when you move. In those cases you will want to be sure that your belongings and your mover are fully insured. There are additional criteria that your realtor will look for in a moving company that they are willing to recommend. All of the things that they look out for are for your benefit. Since we are so very often recommended by realtors to move their clients, we thought that we would let you know, so that when you are searching for a cheap, affordable, realtor recommended moving company in Michigan, that we are here and ready to help you move and that we come realtor recommended. We offer cheap moves in Michigan, affordable moves in Michigan and are a Michigan realtor recommended mover. Contact Men on the Move today. 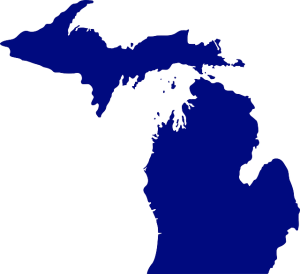 We provide Michigan moving services all over the this great state, give us a call today!